Sugar Land is a city in the U.S. state of Texas. 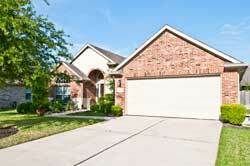 The city is within the Houston–The Woodlands–Sugar Land metropolitan area and Fort Bend County. It is one of the most affluent and fastest-growing cities in Texas, having grown more than 158 percent between 2000 and 2010. In the time period of 2000–2007, Sugar Land also enjoyed a 46.24% job growth. As of the 2010 census, the city's population was 78,817. In 2015 the population had risen to an estimated 88,156. Founded as a sugar plantation in the early mid-20th century and incorporated in 1959, Sugar Land is the largest city and economic center of Fort Bend County.